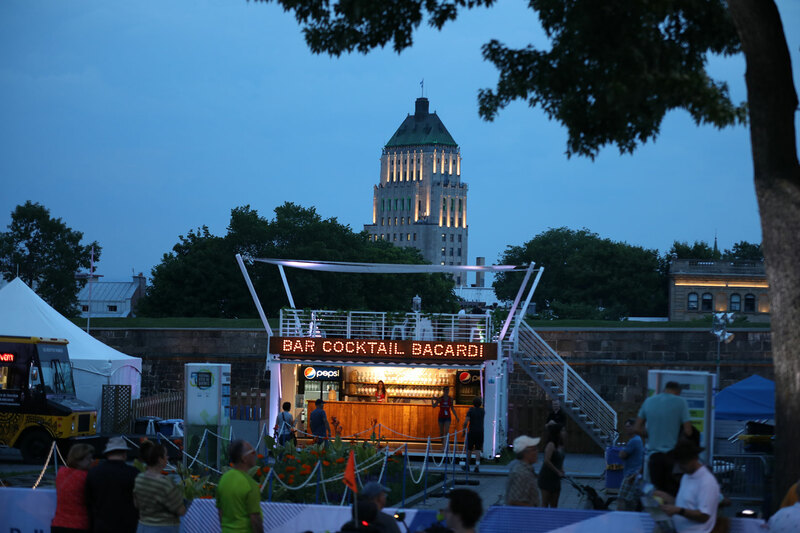 Summertime in a city that really knows how to celebrate is always a blast, and Bacardi was at the center of all the action at the Festival d’été de Québec in a BNC220 unit from Loki. 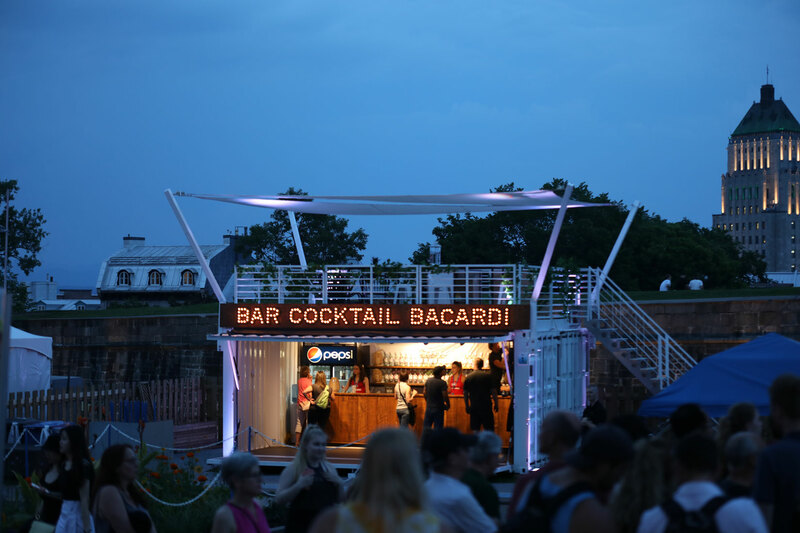 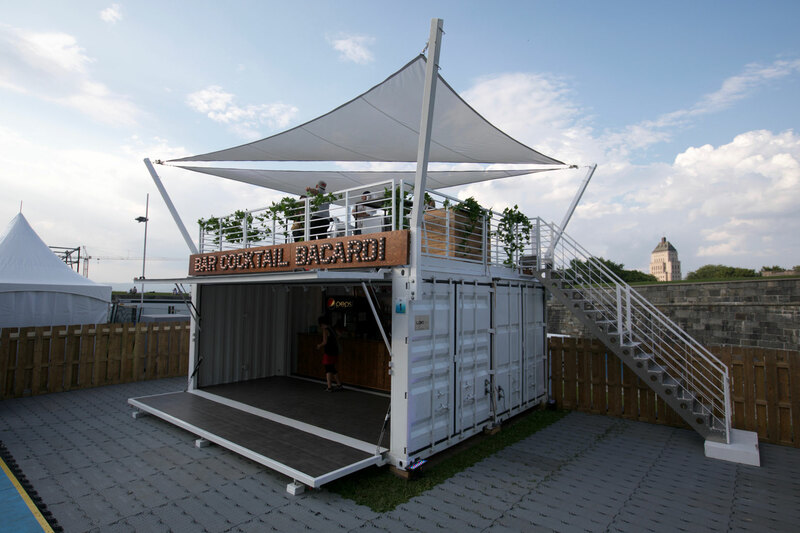 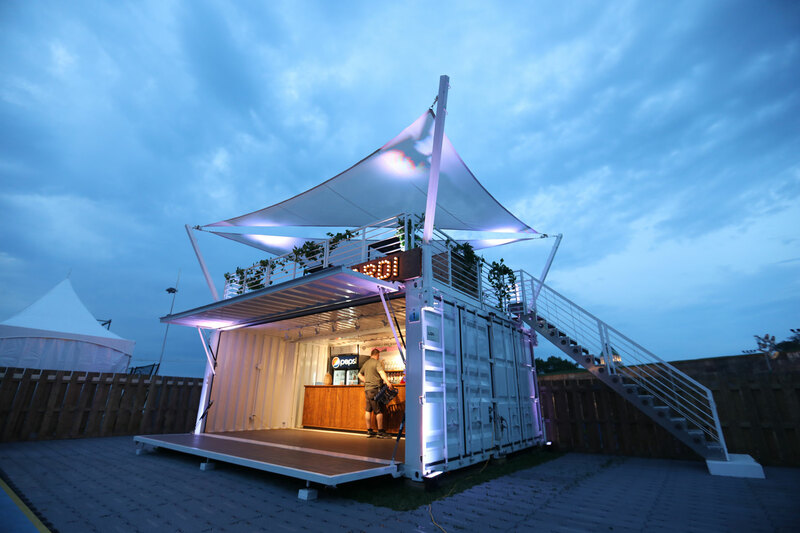 The Bacardi Bar unit is built from 2 shipping containers in a modular design that effortlessly adapts to any situation or constraints of physical space. 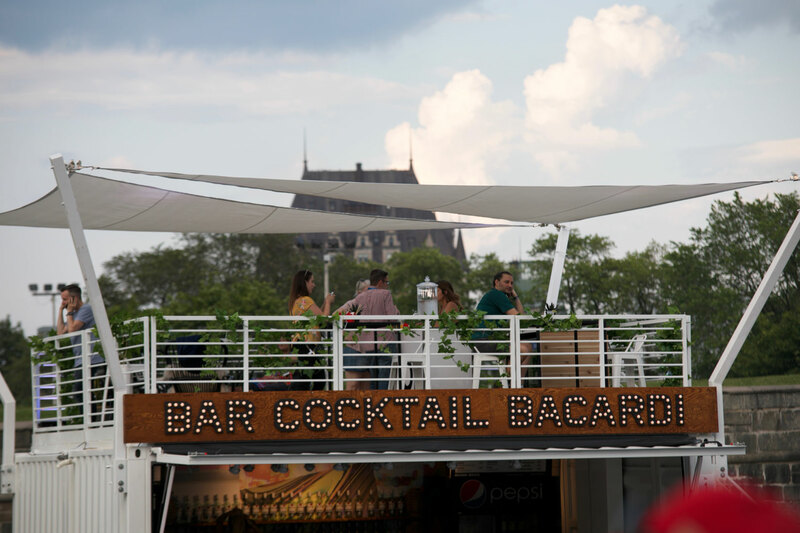 With spacious upper and lower decks, walk-by guests can visit the downstairs bar in large number, while invited and VIP guests enjoy the expansive views and privacy of a controlled access rooftop deck complete with sun canopy. 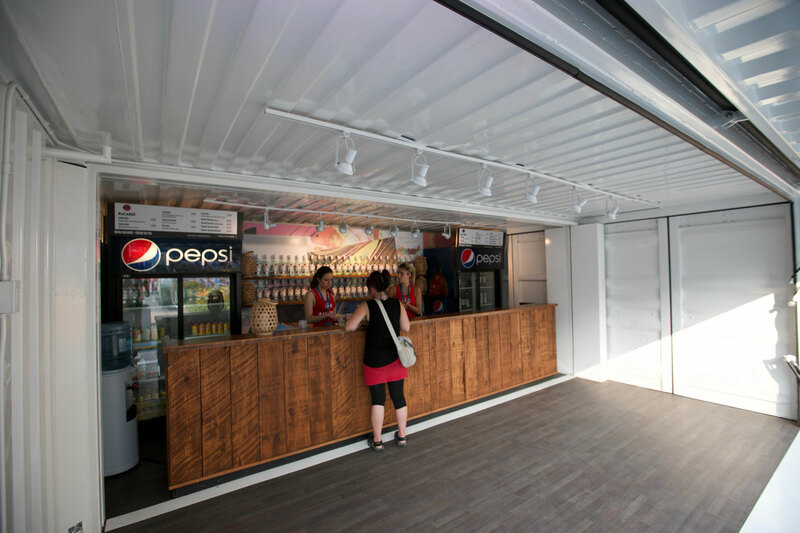 The main floor made-to-measure bar sets up easily, locks down securely and provides an authentic bar experience to showcase the brand’s products. 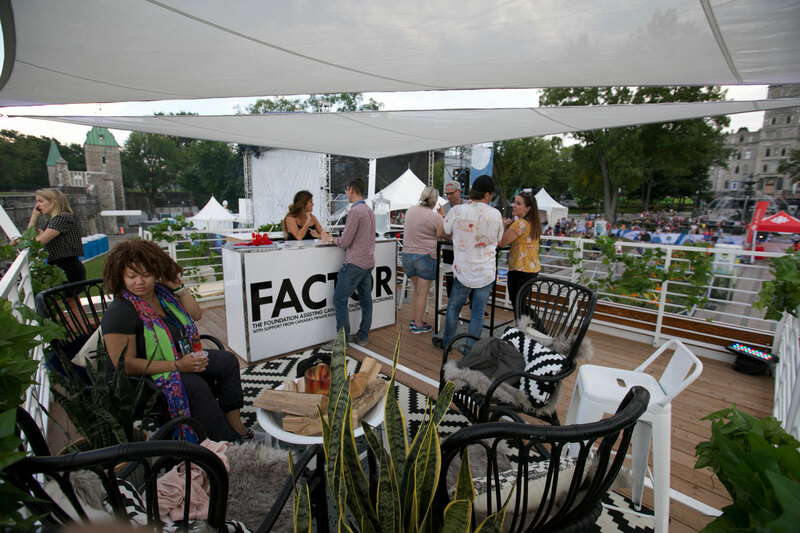 The second-floor terrace has a mini bar, decorative fireplace, potted plants and cocktail tables to create an elegant bar-café feel. 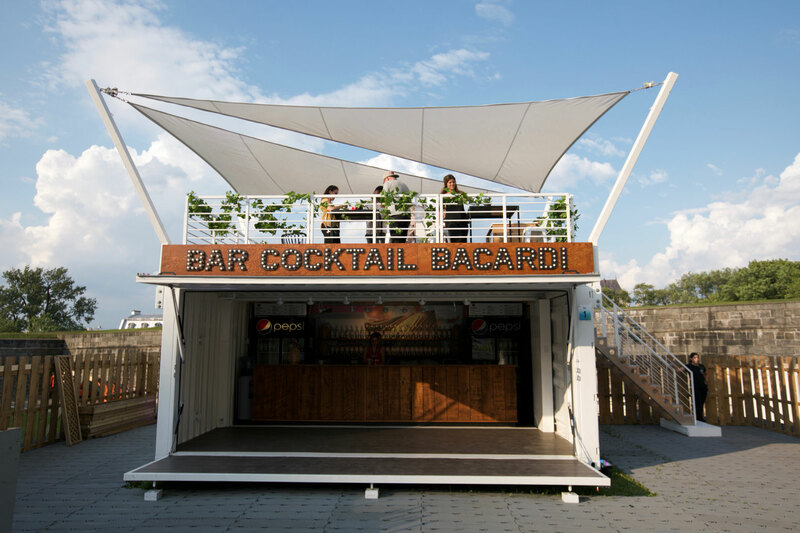 The BNC 220, when fully assembled, rises over a festival space giving any brand an enviable presence and an inviting look from afar.